Whether it’s because they feel hopeless or overly confident, it can often be difficult for children to feel motivated to study for a big exam. Test prep, however, can not only be a surefire way to perform better on exams, but also to learn classroom material in a personal setting. Here are some tips on helping your child create effective study habits and find academic success. Help in areas with which they struggle. If your child struggles with a particular subject such as math or science, you might be able to give some guidance or provide extra study materials that help alleviate some of their anxiety about the topic. Encourage them to focus their studying on their weakest areas instead of their strengths in order to feel more confident during the exam. Layout necessities. Have your child make sure they have all the supplies they’ll need during the test. Do they need sharpened No. 2 pencils, black-ink pens, or a calculator? Make sure they’re packing it all in their backpack to cut down on frantic searching in the morning. Get a good night’s sleep. Sleep is one of the most important factors in your child’s test prep because a well-rested mind is better at recalling information and problem solving. Whether it be trying out pillows that are more supportive or turning the thermostat down, there are many different ways to help your kids sleep through the night. Just make sure they’re comfortable enough to get between eight to ten hours of rest. Last minute review. Before bedtime, help your child going over the material one last time. Research has shown that sleep improves memory consolidation, so reviewing their study guide or going through another practice quiz before sleeping can help your child remember the information better. Stay in the routine. 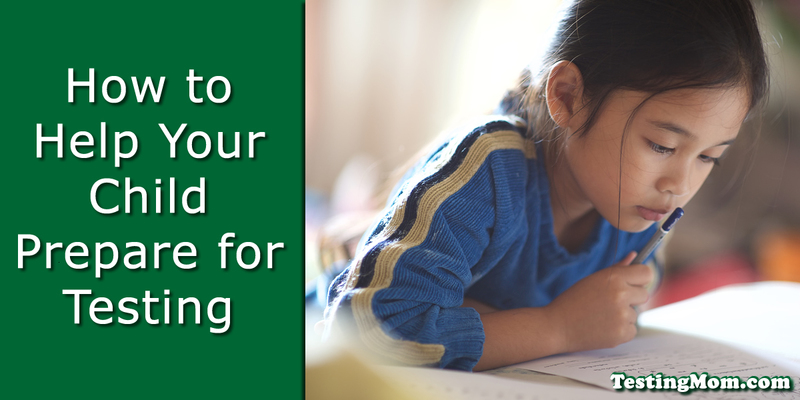 Help your child stay calm the morning before the test by maintaining their normal routine. Too many drastic changes, like a different wakeup time and new transportation method, can make them uneasy when already stressed. Nutritious breakfast: Balance out their morning and keep them energized with whole grains, protein, fruits and veggies. An omelet with spinach and toast, or oatmeal with sliced apple and almond butter both make tasty meals that will help kickstart your kid’s brain and fuel their test performance. Make sure you’re supporting your child in their studies by demonstrating the value of test preparation. By taking the time for seemingly simple things like creating a schedule, making a study guide, and eating right, you can help set your child up for success!